At the Sedona Yoga Festival 2017 it was a true honor to be in company of Mark Whitwell and exchange insights with a true servant of Yoga, one of the best contemporary Yoga teachers. I truly enjoyed one of his "Heart of Yoga" sessions during Yoga Festival. The very first day of Sedona Yoga Festival started with a memorable experience - I was blessed to attend a Yoga session led by Tao-Porchon Lynch, a true inspiration to all Yogis, Yoginis and/or Yoga Instructors out there - although 98 years old, she is superb in her Yoga practice, full of life, love and enthusiasm. She really touched my heart.... I hope these images and videos convey just how much we enjoyed her radiant presence. Love you Tao! Read more. 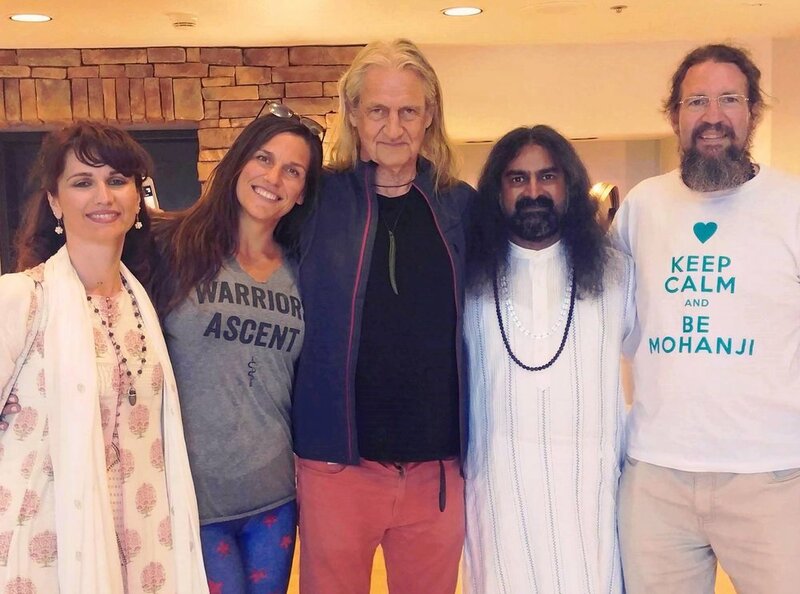 From March 9-12th 2017 Devi Mohan is in Sedona, USA with Mohanji, getting immersed into many beautiful spiritual experiences at a truly magical venue with energy vortexes which Native Americans consider holy. 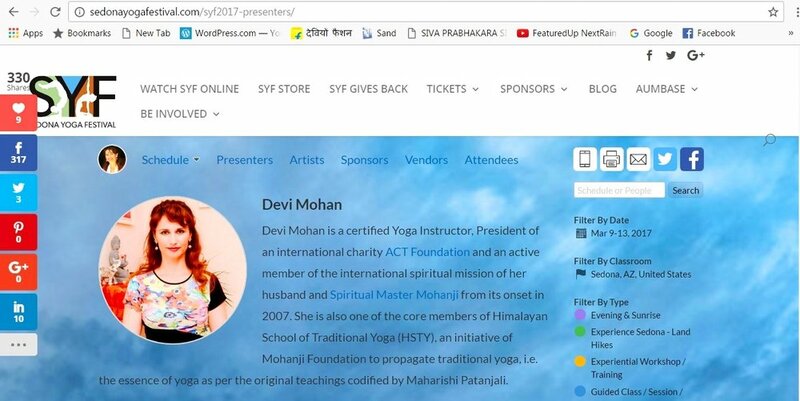 Devi is scheduled to conduct three morning sessions of Himalayan School of Traditional Yoga 10 – 12 March 2017 – more details can be found here.